Tickets | Detroit Lions vs Ottawa County All-Stars Tickets |Admittance to the game is FREE to members of the Ottawa County Sheriff’s Office and their immediate families. 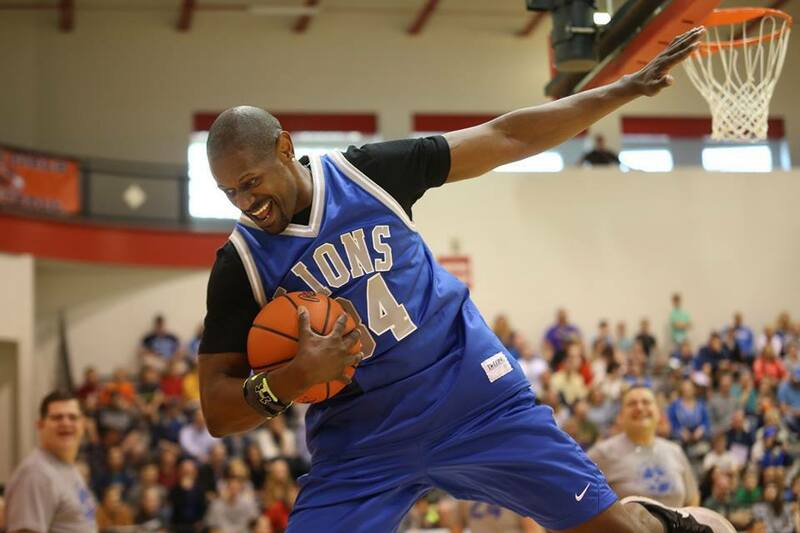 The game pits members of the Detroit Lions vs. members of the Ottawa County Deputy Sheriff’s Association and other members of the public. Along with an entertaining game of basketball, there is a 20-30 minute “half time” where spectators can take photos with the players and have them sign autographs and their favorite memorabilia. Griff from the Grand Rapids Griffins and Sparty of the Michigan State University Spartans will be there. Concessions are available. Ottawa & Allegan County, lace up your walking shoes & get ready for a free 6-week walking challenge. Ottawa and Allegan Parks and Recreation and Department of Public Health are teaming up to bring the community another Step it Up! Walking Challenge this spring. 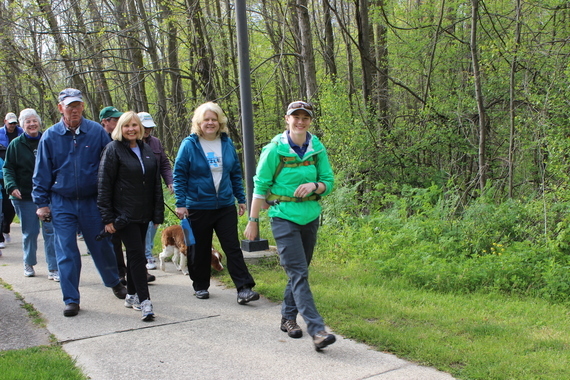 Participants will “virtually walk” 240 miles along regional trails in Michigan. The challenge begins on Monday, April 3! Registration is now open- register today! This free, 6-week program is designed to help participants spring into fitness and get moving after a cold winter. Participants of all fitness levels are invited to join – weekly prizes are available. Optional group walks will be offered for those interested in getting their weekly steps in with a group while checking out Ottawa & Allegan County Parks (schedule below). Each walk will be led by a naturalist guide. Different pace groups will be available. Participants will be able to track their individual progress online, including their cumulative steps taken. The Ottawa County GIS Department designed a map to watch progress along the virtual trail. “When you login to track your steps, you’ll be able to see the weekly goal markers and also track your individual progress. It was great to team up with GIS again to create an interactive component,” said Parks spokesperson Jessica VanGinhoven. Great program to encourage people to exercise and use the county park system. I loved this program! It motivated me to get walking again! 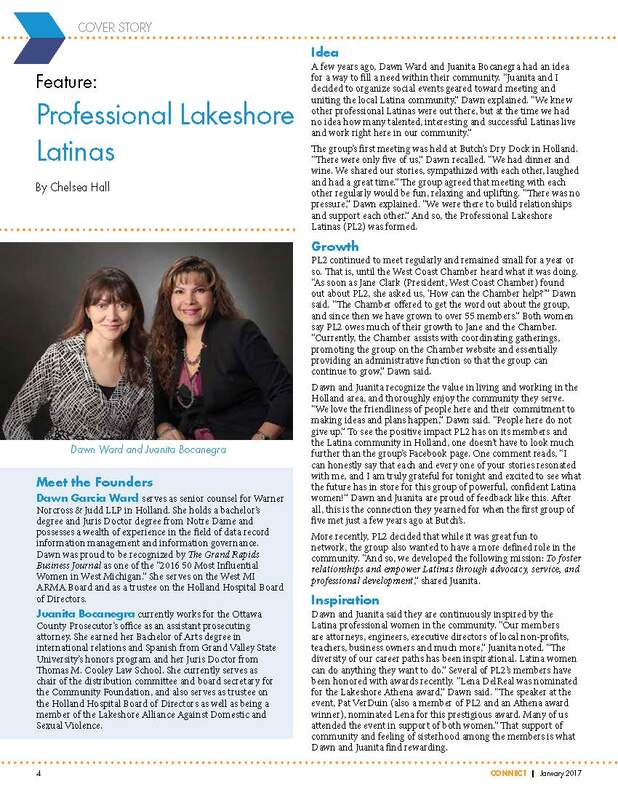 I moved back to Holland two years ago and I learned a lot about the parks in Ottawa County through this program! I will be buying a pass and keep visiting our parks! Thank you very much! It has helped us lose weight and feel so much better. Prior to this challenge my daily steps were closer to 5,000 and since doing program I’m between 7,000-10,000 and some days way more. It challenged me to park further away and keep pedometer with me when walking around my house for a true count of my steps. Thanks for the motivation. URL: http://www.miottawa.org/parks/stepitup.htm Registration closes April 10. May 11: Connor Bayou 5:30-7 PM – This walk will be followed by a family-friendly party at the Connor Bayou cabin! 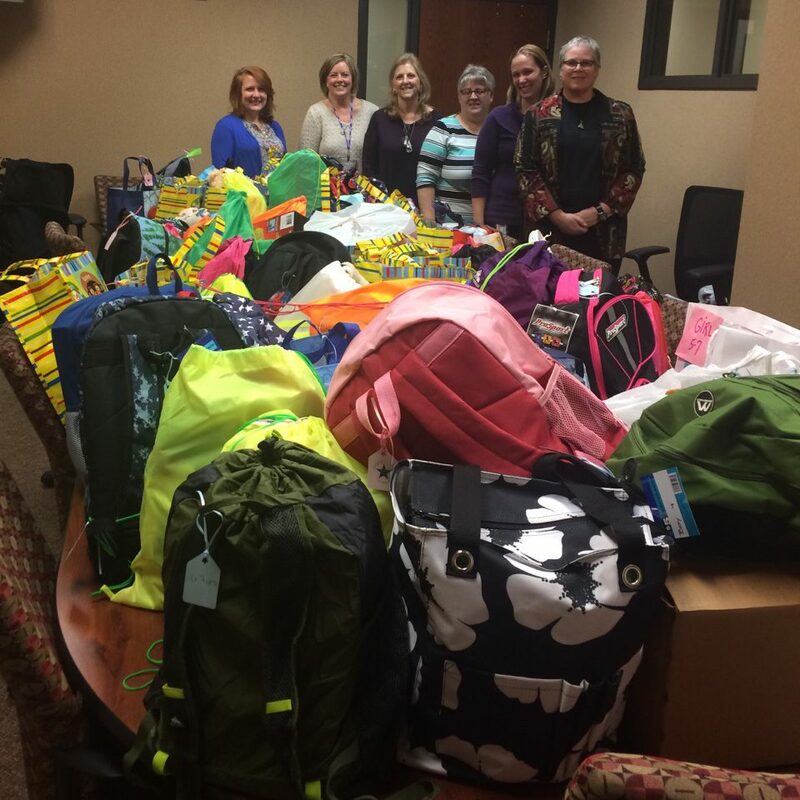 The Ottawa County 58th District Court staff donated 81 backpacks filled with necessities (socks, pajamas, toothbrushes…) and other important items (toys, coloring books, crayons, puzzles…) to Hope Pkgs. Hope Pkgs is a local nonprofit that provides “first night bags” for children entering foster care. Many kids enter a foster family’s home with nothing but the clothing on their backs. The filled backpacks provide some comfort and hope for children of all ages during the transition. Let’s applaud these employees for their generosity and demonstration of The Ottawa Way. Does Your Web Page Need Attention? Do you know how many “pages” make up miOttawa.org or how many pdf files we house on our website? It’s a rough estimate, but we have over 1,800 pages plus over 8,700 pdf files. The upside: we have a lot of information on our website. The downside: we have a lot of information on our website. When a customer visits our website today and sees a sentence such as, “The training will continue through 2015,” our credibility is instantly diminished. Do you know the process for updating your department’s web page content? Typically, each department designates one person to send content updates to our contractor, Webtecs. Do you know who manages content for your department? If you do not, discuss it at your next staff meeting. Sometimes the person who was designated to watch the content moves on and the task is never reassigned. Other times, the day to day operations take priority over updating the website. Now is a chance to regroup and switch the assignments if needed. Every time a user has to “click” the chances of that user retrieving the information you intend to communicate goes down. Unless you are providing a form to complete, offer the information in both text on the web page and a pdf of the flyer that you masterfully created. The popularity of mobile devices and tablets has converted many of our customers into creatures who scroll. 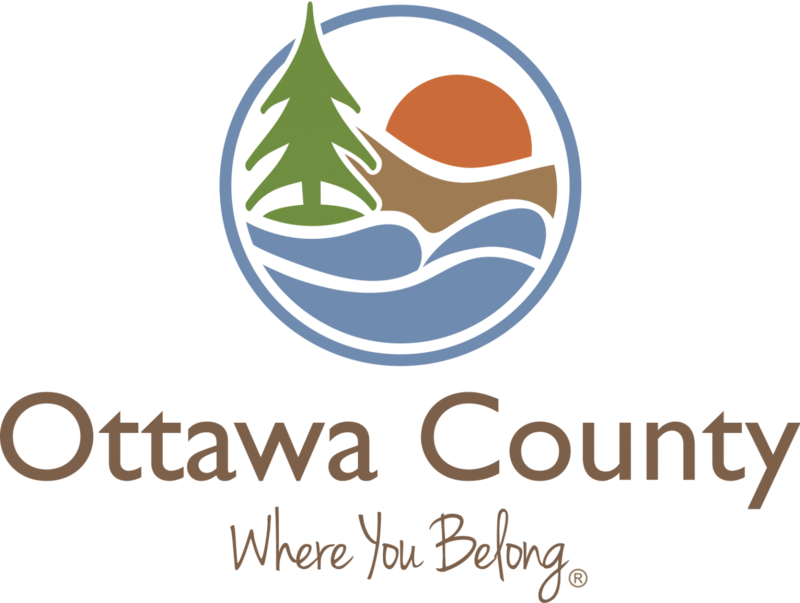 Half of our website visitors access miOttawa.org from their mobile devices. (Apple devices edged Android devices on miOttawa.org by 5.72% in December, if you are keeping score.) In the past, web design placed a high importance on the information “above the fold” or on the screen you see when you land on a web page. While this is still important, we have embraced scrolling. Scroll with it. Just be sure to keep luring customers down the page with good design. You have read your copy a dozen times. If possible, request a trusted colleague to look it over. Once it is published online, take one more look. Simply the change in font or formatting can uncover a covert typo, lurking among the letters waiting to attack your professionalism and humiliate you. While it may be impossible to completely remove jargon, make an effort to mix common, lay terms or past terminology in your content. Remember that the website is a primary portal for the public, not your professional peers. Passive sentences are not always the best way to phrase your thoughts. Passive voice is often awkward, vague, wordy and more difficult to understand. Make your writing clear and concise. Replace passive sentences with active sentences when possible. Here is a great resource from Purdue University. This is just a sample of ideas we can use to improve miOttawa.org. What are some other things you see on websites that you feel should be included or avoided? Do you have a favorite government website? Why? Share in the comments. Loutit District Library (LDL) will host a traveling exhibition on race in America called ‘Hateful Things’ from the Jim Crow Museum of Racist Memorabilia at Ferris State University. The exhibition will run from Feb. 5-18 on LDL’s Upper-Level Lobby. ‘Hateful Things’ is a thirty-nine piece collection, comprised of material culture items that range from the late 19th century to present day. The exhibition embodies the effects of the Jim Crow legacy while examining the history of the racial stereotyping of African Americans. The exhibition also includes professionally framed images showing the Civil Rights movement and the fight for equal rights, while also displaying the history of brutal and cruel acts against African-Americans. Present-day images of stereotyping will also be on display. Each item in the exhibit carries signage helping the public to better understand its significance. For more information about this exhibit, visit http://www.ferris.edu/jimcrow. Monday – Thursday, 9:00 a.m. to 9:00 p.m.
For more information, visit http://www.loutitlibrary.org or call 616-842-5560 ext. 222. Today is Martin Luther King Jr. Day. This is federal holiday which marks the birthday of Martin Luther King Jr. and was established back in 1983 by President Ronald Reagan. Then, as now, many felt an uncertainty in the direction of our country as the country was ripe with the fear of racism and inequality. On August 28, 1963, Dr. King gave a speech that’s widely referred to as the “I Have a Dream” speech. Every once in a while, an individual comes along whose words lift us, inspire us to be a better, to view the world not as it is, but what it can be. That speech holds a special meaning, not just singularly as individuals, but collectively as a nation. The links below will direct you to that speech. The entire speech is about 17 minutes long. The portion heard most often is bout 6 ½ minutes long. Hit the link below. We hope you take the time to listen and be inspired. Snowshoe rentals are also available during these times with sizes for ages 4 through 104! The lodge is only open during good ski conditions. If you aren’t sure if the lodge is open, call our hotline: (616) 738-9531. Ski classes begin this January! Classes for beginners, intermediates, and skate skiers are available. Check the schedule to find a class that’s perfect for you. The greater Holland community is invited to celebration Kwanzaa, jointly hosted by Maple Avenue Ministries, Pillar Church, Fellowship Reformed Church, Zion Dominion International Ministries, Calvary Reformed Church, and Engedi. Contributions will be accepted for the annual Black Graduate scholarships for graduating seniors. At Maple Avenue Ministries, 427 Maple Ave, Holland. Follow-up to Community Conversation held in the fall of 2016 to discuss local issues and solutions. Panelists will be ACLU field director Rodd Mont; attorney Timothy Vanderberg; and community activist Germaine Pellebon-Smith; facilitated by Kim Harris of AAADO. Everyone is welcome. At Herrick District Library auditorium, 300 South River, Holland. A Potluck and Cultural Sharing Party, hosted by the Alliance for Cultural and Ethnic Harmony (ACEH). Music, performances, silent auction, family activities, fabulous food, fun, fellowship. Everyone is welcome! At First United Methodist Church, 57 West 10th St, Holland.